And the Winner of the China Study Cookbook is…. For those who received this post already in an email, I apologize. I hit ‘publish’ before I was finished!! The #1 most loved fruit is strawberries. #2 is a tie between peaches and mango. #3 tie between blueberries, pineapple and watermelon. The #1 most disliked fruit is a tie between papaya, mango and Granny Smith apples. Tied for #2 would be melons (both cantaloupe and watermelon), kiwi, and rhubarb. Ok, that was fun. Thanks for participating! 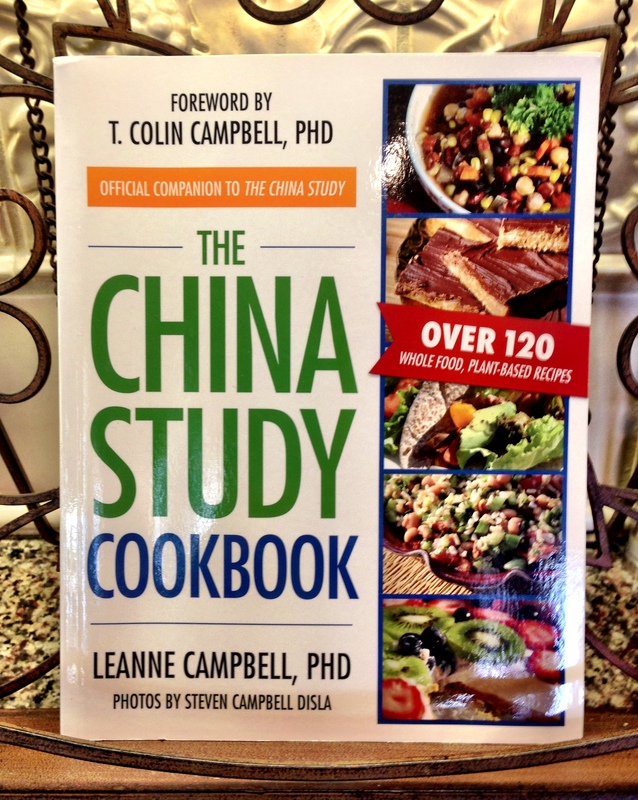 Now, onto announcing the winner of The China Study Cookbook by LeAnne Campbell, PhD. The winner is…….Tracy Habenicht! Congratulations, Tracy! 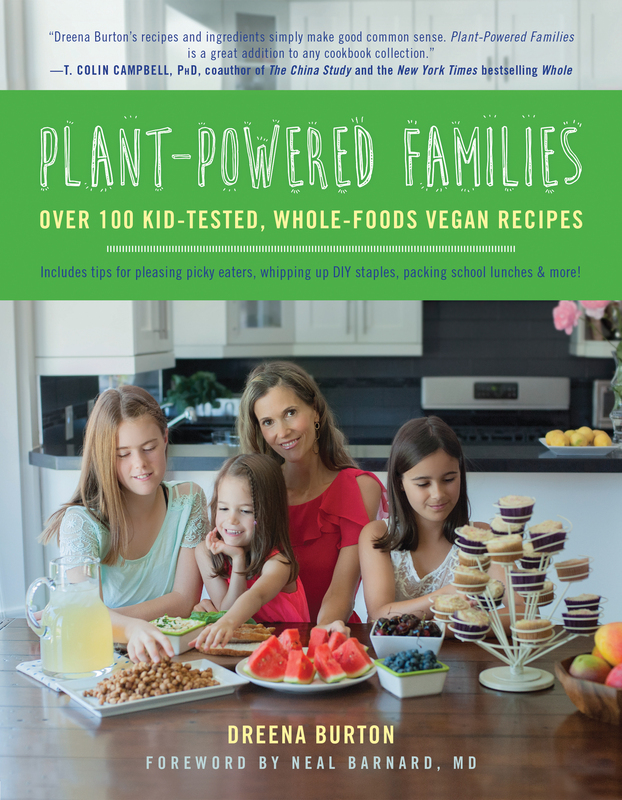 To claim your prize, e-mail me at Shelly@plantifulwellness.com with your address so I can forward that onto the publisher. Thanks, all. Another giveaway coming soon! 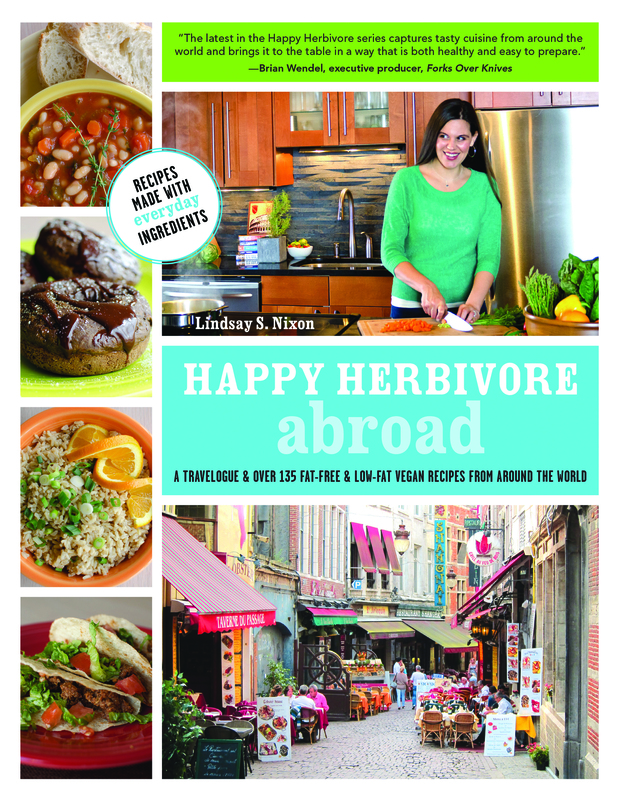 “HAPPY HERBIVORE ABROAD” – Interview with the author Lindsay S. Nixon!! Linsday Nixon is known as the Happy Herbivore, and has written wonderful and successful low-fat, plant-based cookbooks such as Happy Herbivore, Everyday Happy Herbivore and her brand new book Happy Herbivore Abroad. This girl LOVES travel and has been practically everywhere! While in far away lands, she still manages to eat and cook strictly plant-based, low-fat meals. Her newest book is so awesome. The recipes combine traditional comfort foods from home with international inspiration and stories of her adventures. As part of a fun book promotion, she’s giving away 31 copies of Happy Herbivore Abroad, 31 days of December. Exciting!! I will be choosing a winner on 12/12/12, at 12:12 PST. All you have to do is LIKE this post between now and then, or if you don’t have Facebook, Subscribe to Blog Updates on this blog . Q. How long did it take you to compile the recipes for HHA? A. I spend about three to four months writing recipes, but then it takes several more months to turn them into an actual book. The whole process is about a year. Q. Is the book a collection of just your own creations while living abroad, or does it include dishes you ate in restaurants while abroad, that you adapted? A. 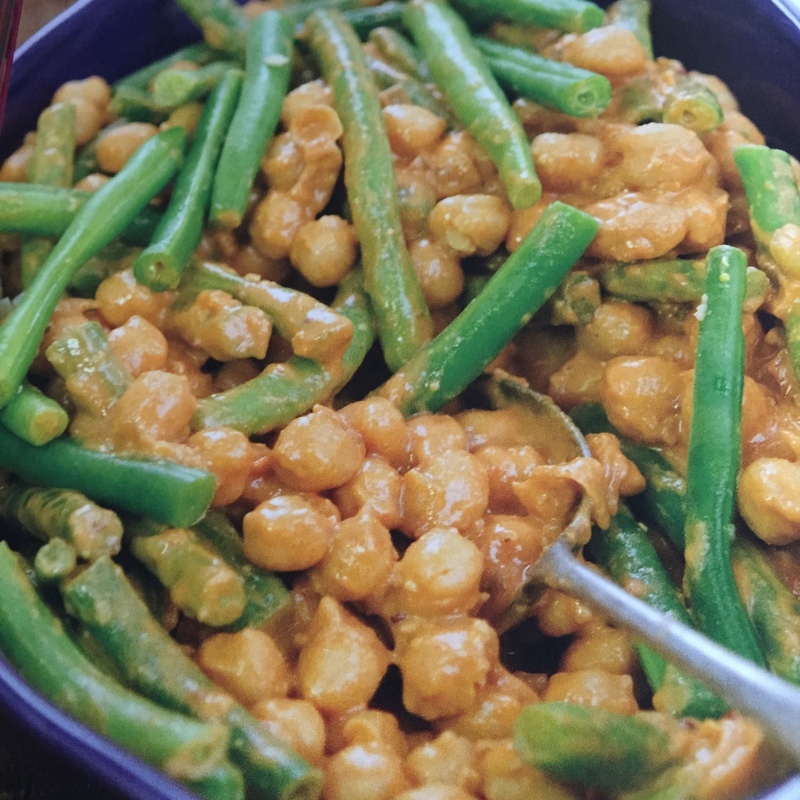 My second cookbook, Everyday Happy Herbivore, is a collection of recipes I created while living abroad. This book, Happy Herbivore Abroad, is all international dishes — meals and treats from around the world. Some are classic dishes (like Puttanesca or Penne alla Vodka, or Swedish Meatballs!) that I’ve recreated in a healthy, plant-based way. Others are dishes I ate somewhere while traveling (or saw, but did not eat because it wasn’t plant-based), but then came home and figured out how to make myself. You really get to taste the food of the world with this book! Q. 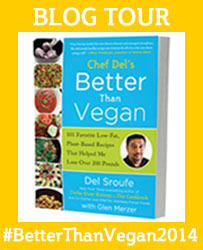 How many recipes does the new book include? A. I’m unsure of the exact number- – but over 125. Q. If you could move permanently to a place you visited, where would it be? A. My work keeps me from rooting down anywhere for too long, but we are planning to go back to Germany for an extended stay, and the South of France this summer as well. We’ll probably stay in both places for a few months. When I retire in a few years, I plan to live abroad. Q. What foreign land was the most difficult to eat low-fat, plant-based? A. I think they were all pretty easy, some easier than others, but I didn’t find any one place particularly difficult. Q. 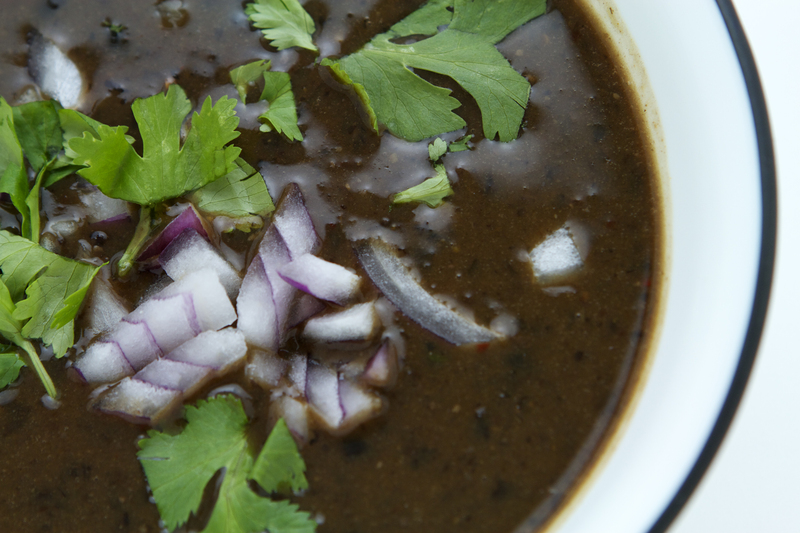 What foreign destination was the easiest to eat low-fat, plant-based? A. Italy was very surprising. Traditional Italian foods lend well to being plant-based, but I assumed everything would be drenched in olive oil. To my surprise, most food is prepared with little to no oil. Oil is on the table (sort of how like salt is on the table in America), and Italians drizzle a little on their food before eating. It made eating low-fat and plant-based a breeze. Italy also has a lot of beautiful fresh produce and produce markets — same with Spain and Croatia, which made eating colorful! Q. If you could give one tip to travelers determined to stick to their healthy ways of eating, what would it be? Q. Do you have an idea for another cookbook? If you haven’t already, BUY THIS BOOK!!!! Or, maybe you’ll be the lucky winner on 12/12/12 at 12:12 PST! Don’t forget to LIKE or Subscribe! Thanks!